Guided reading during Les cinq au quotidien (Daily Five) is in full swing by March, we are busy learning sound blends beginning in January. It's fun to have some shared reading pieces where we all learn, sing or read a favourite poem or rhyme. 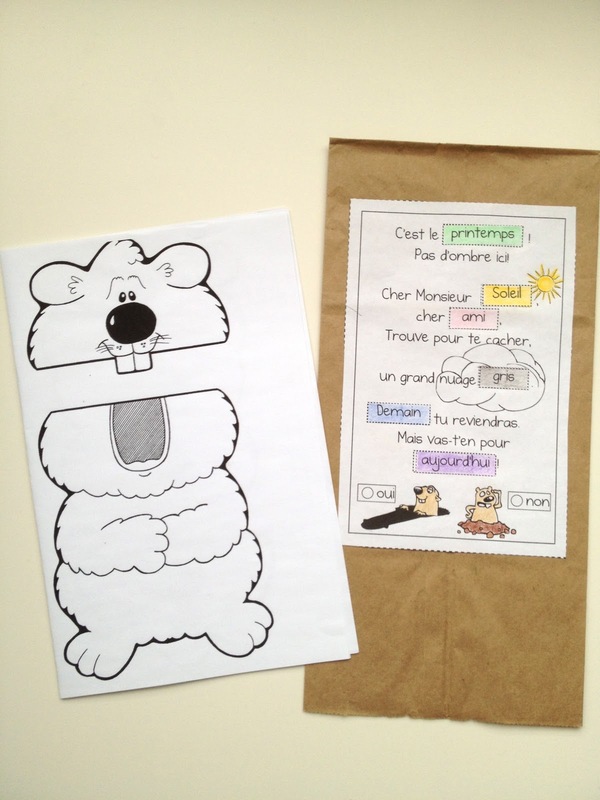 Put any poem to a tune and grade 1s will remember and sing them all the way home. I sing this one to the tune of Sing a Song of Six Pence, you can make up your own or rap it. I found by Feb. this was a bit young for my grade 1s but it was something they could share, read and play with with their kindergarten learning buddies. 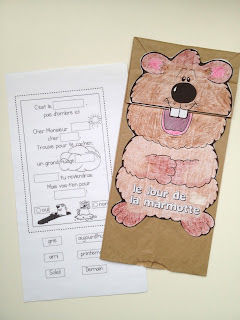 Could students (those ones you need to challenge, inspire, direct) extend this by labelling the parts of their groundhog? Could they make a CAN, ARE, HAVE (peuvent, sont, ont) chart about groundhogs on a an index card and slide it into their paper bag? Could they write a CAN, ARE, HAVE journal entry about groundhogs tomorrow?